It might be in need of help – and I’m sure it will get some – but in the interim this structure has character that simply can’t be purchased anywhere. You have to come and stand here, preferably at sunrise, to take it all in. 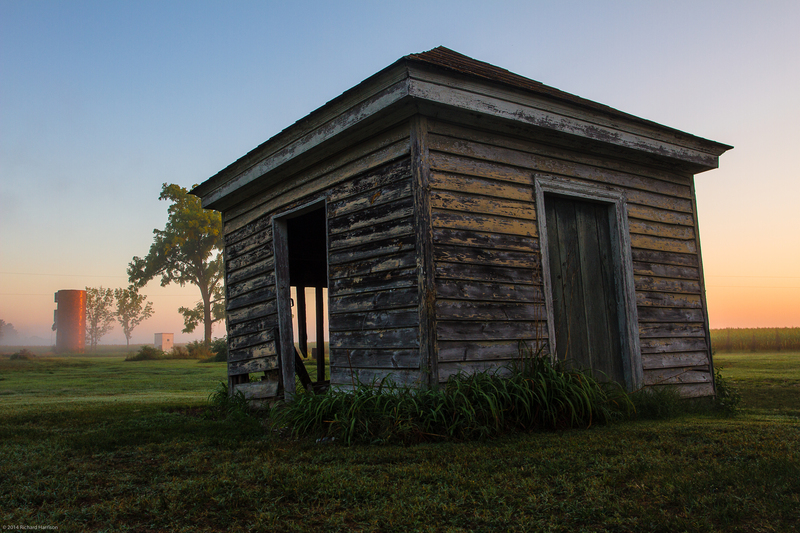 Our poor little Smokehouse… it is in such need of help. But standing against the fields and fog gives it an air of history.